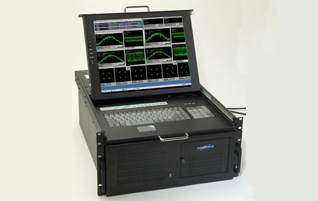 Lumistar provides a wide variety of rack mount integrated receiver and diversity combiner systems. Some of these can be configured with multiple receivers, diversity combiners, and bit synchronizers depending on custom requirements. Lumistar does not manufacture any computers, but selects only the finest of the industrial machines available to provide a high performance package. Basic system setup, control, and display software is included with each of these systems at no additional cost.